» Never Mind the Gasols! Go, Team USA! It’s Time for the FIBA Basketball World Cup! The FIBA Basketball World Cup kicks off in Spain this Saturday, and the excitement is underwhelming! Unless you’re an absolute needle-between-the-toes basketball junkie, I’m guessing the only thing you know about the upcoming clash of basketball nations is that Paul George broke his leg in gruesome fashion while playing in a game that had something to do with this tournament. But there is so much more than tragic, NBA-season-altering injuries. So much more. Here’s why you should watch the FIBA Basketball World Cup. If you’re anything like Mark Cuban, then you’re insanely rich, wear T-shirts that make you look like a meathead Frankenstein’s monster, and you really hate the Olympics. The Olympics, as we all know, is a hotbed of corruption. Also, the Olympics has all these boring, non-basketball sports that you have to slog through. Screw that. That’s why FIBA (and the NBA) have been looking to limit, from a world basketball point of view, the importance of the Olympics, by repackaging their international basketball product in the mold of the famously virginal FIFA World Cup. Love the World Cup? Get ready for the Basketball World Cup! It’s the World Cup but with hands! As such, the field for the FIBA Basketball World Cup has been increased from 24 to 32. Just like the real World Cup! And in coming years, qualifying windows — in November 2017, February 2018, June 2018, September 2018, November 2018, and February 2019 — will be used to determine which countries get to play in the World Cup and the Olympics. Just like international breaks in soccer in the run-up to the real World Cup! But wait, don’t all of those dates except for September 2018 fall within the NBA season? So, how will NBA or college players play in these qualifying tournaments? Does this screw Team USA? Not at all! As long as Team USA wins the FIBA Basketball World Cup, it qualifies for the Olympics. And as long as Team USA wins the Olympics, it qualifies for the FIBA Basketball World Cup. It’s the circle of winning! But what if, say, the Grizzlies are in the NBA Finals in 2018 and Marc Gasol wants to make sure Spain plays in the 2019 FIBA Basketball World Cup, what then? I don’t know! But doesn’t this make you want to watch? Let’s find out together! OK, “traitors” is strong, but I’m trying to punch up buzz for this tournament, and I’m not above playing to nationalist sympathies. God bless America, land that I love, and that some other dudes, who happen to play professional basketball, obviously don’t. Andray Blatche, born in Syracuse, New York, will play for the Philippines. As a Filipino American, I’m torn. On the one hand, the Philippines deserves better than Blatche. On the other hand, I’m pretty jacked up to watch him and a bunch of 6-footers run ragged five-man weaves. Fun fact: It took an act of the Philippine Congress to allow Blatche to play on the team. A better allocation of tax dollars there has never been. Benedict Arnold Rating: 7 out of 10 Benedicts. Casey Frank, born in Port Jefferson, New York, will play for New Zealand. It’s early yet, but it seems like New York state is a hotbed of anti-American feeling. Frank moved to New Zealand in 2002 to play professionally and has lived there ever since. He is a four-time NBL champion, five-time all-star, and a three-time Kiwi MVP. Also, he looks like the dude at your dorm who has great weed and takes Ultimate Frisbee extremely seriously. Benedict Arnold Rating: 1 out of 10 Benedicts. Hey, anywhere is better than Long Island. Pooh Jeter, born in Los Angeles, will play for Ukraine. Ukraine has bigger things than basketball on its mind, so let’s give Pooh a pass. Benedict Arnold Rating: 0 out 10 Benedicts. Oliver Lafayette, born in Baton Rouge, Louisiana, will play for Croatia. And, man, is he excited about it! 2/2 Lafayette: "They (Croatia) officially invited me. Stuff has to be finalized, getting everything done. I let my agent deal with that." Benedict Arnold Rating: Zach Lowe would slit my throat with a broken bottle if I besmirch the Trobojnica, so let’s just let this one go. If you’ve been following Team USA’s run-up to the FIBA Basketball World Cup, then you’ve likely heard or read some variation of, “Who’s going to guard the Gasols?” Like, what happens if Anthony Davis gets in foul trouble? What then? WHAT WILL HAPPEN WHEN, NOT IF, THE USA MEETS SPAIN, AND OUR BOYS HAVE TO CONTEND WITH THOSE DAMN DASTARDLY GASOLS?!! Can DeMarcus Cousins keep his cool? Oh dear god, what about Mason Plumlee? Which Plumlee is he again?! Andre Drummond?! Doesn’t he shoot, like, negative 20 percent from the line? Dear god, the Gasols!!!! Guys, look at our starting five’s stats thus far. Let’s all chill. 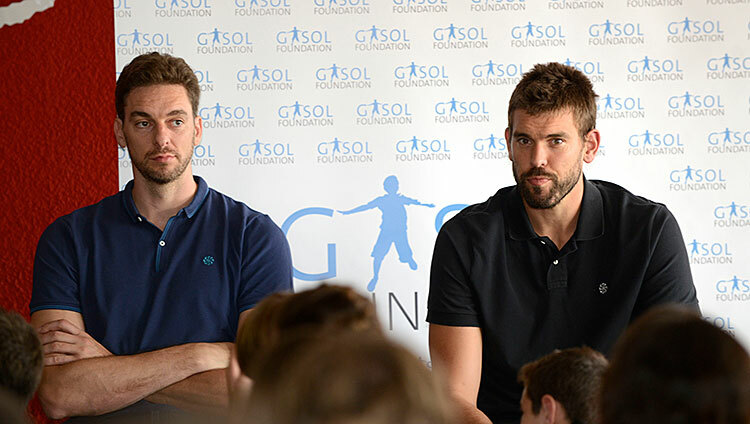 Marc and Pau are legit, but Pau is like 40 years old. Don’t worry about the Gasols. 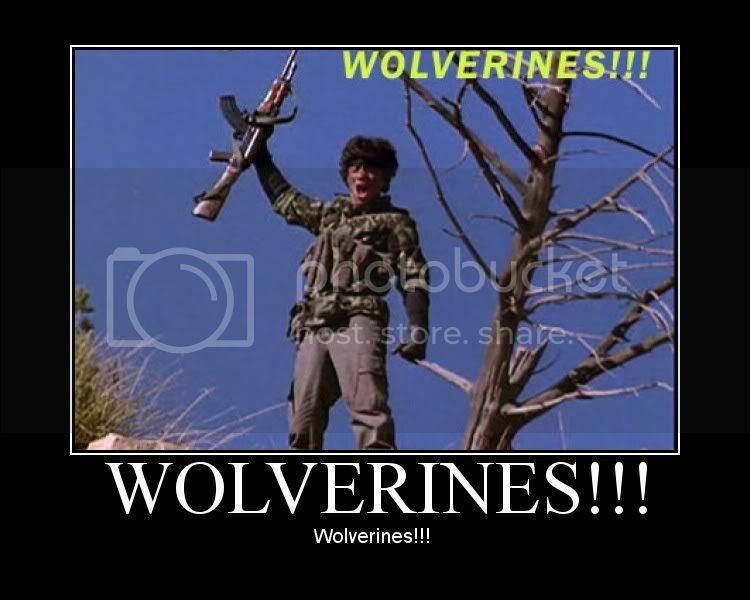 Wolverines! But they have Serge Ibaka too! And Pau is only 34! Oh, word? OK, well, don’t foul out, Anthony Davis. While I’m on the subject of 21-year-old athletic mutants with Omega Red tentacles for arms, who has advanced-stats nerds squirting lotion into their palms before clicking on the bookmark for his Basketball-Reference page, let’s talk about Anthony Davis. For me, the best part about watching Team USA has always been seeing what happens when stars get to play with other stars. Who takes over? Who’s the most indispensable? Who’s the crunch-time guy? Who’s the guy you call on when you need a stop? Who is the player the best players in the league (minus LeBron, Durant, Westbrook, Chris Paul, Dwight Howard, and several others) defer to? With that in mind, I can’t wait to watch Anthony Davis versus the world. You know how, in today’s NBA, creative solutions to salary-cap concerns can lead teams to pick players they don’t expect to play for several years because they’re in Europe, playing with 45-year-olds who smoke cigarettes at halftime? Well, without some kind of basketball tournament involving the best of planet Earth’s basketball players, you won’t be seeing those dudes anytime soon. We could even call it the FIBA Basketball World Cup. 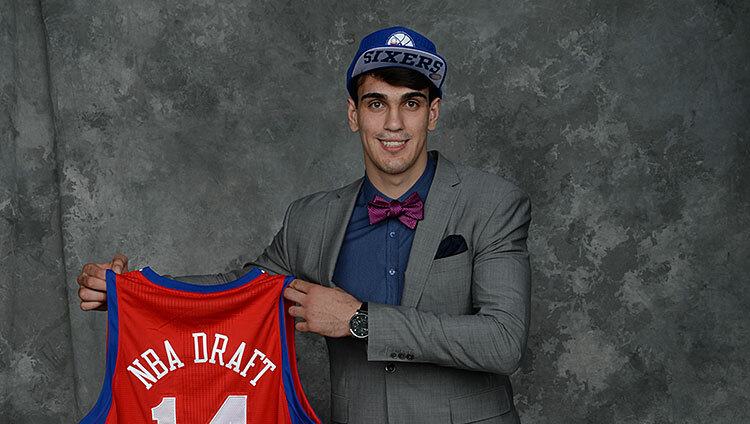 Dario Saric, Croatia. Sam Hinkie took Saric with the 12th pick because of his combination of size, mobility, passing vision, and not-being-available-for-the-next-two-years-ness. Bojan Bogdanovic, Croatia. This season, the 25-year-old will finally suit up for the Brooklyn Nets, some three years after he was picked by the Miami Heat. See him here first. Dante Exum, Australia. OK, he’s not stashed and he’s not from Europe. Technically speaking, the modern nation of Australia was founded by Europeans, though, or something. Could there be another reason? We haven’t seen Rose play basketball for, basically, two whole years, setting aside a couple of false springs. Rose’s performances during the preparatory Team USA intrasquad scrimmages, and in a friendly versus Brazil, were revelatory. He had the Internet humming with #RoseisBack. Things have been up and down since then, literally. Team USA’s coaching staff, which includes Bulls coach Tom Thibodeau, has been careful with Rose, sitting him out of practice and another friendly. Then there were whispers involving the words “knee” and “pain.” At this point, it seems like Rose may alternate starts with Kyrie Irving. So, is Rose back? It’s a question with huge implications for the newly Rust Belted Eastern Conference, and the best way to answer it is to watch the FIBA Basketball World Cup.